DOCTOR WHO - An Unearthly Beginning | Warped Factor - Words in the Key of Geek. Before Peter Capladi's debut adventure as the Twelfth Doctor we are looking back at all the debut stories from the previous Eleven incarnations of the Time Lord. 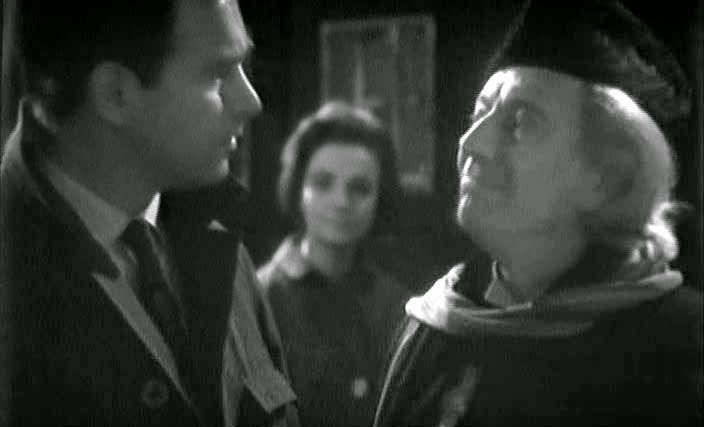 Today Nathan Browne goes back to the very beginning, November 1963 and An Unearthly Child. There's an argument to be made that episode 1 of An Unearthly Child is the best individual Doctor Who episode of all time - it's certainly the most important that's for sure. 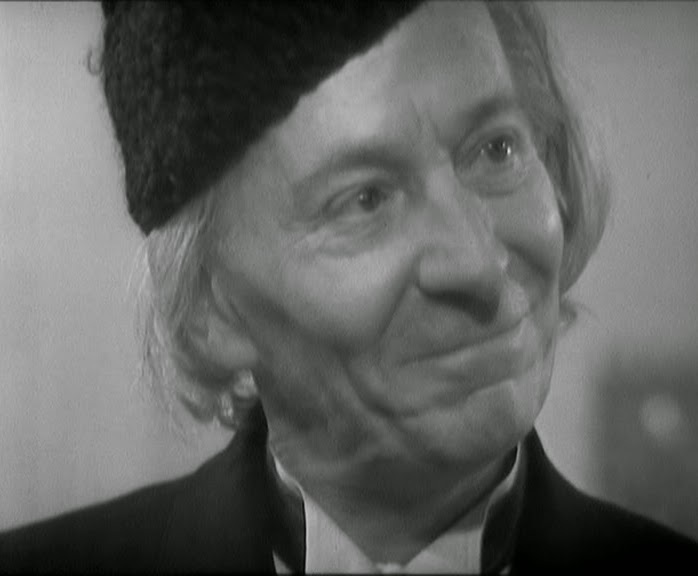 Of all the stories from William Hartnell's era this single 23 minutes stands up today better than any other. The whole episode has a unique creepy atmosphere which is only enhanced by the black and white tone of the show, plus it features some surprisingly good special effects. You might be thinking that they are tame by 2014 standards, but take another look at the scene when the TARDIS first takes off from Earth and you'll see that it's all quite eerie. No amount of expensive CGI trickery could improve on the atmosphere those 'primitive' effects created, more than likely modern technology would probably take something away from it. William Hartnell gives one of his finest performances as the Doctor. Brilliantly portraying the otherworldly qualities of the character, more than in any other episode from his time. He's ably supported by William Russell and Jacqueline Hill as Ian and Barbara - in fact it's their show for the first half. These two caring but inquisitive school teachers follow Susan, the unearthly child, to her home which appears to be an old scrapyard. Introducing the Doctor through the eyes of two humans that we can relate to is a stroke of genius, it heightens the contrast between our everyday world and the Doctor's somewhat surreal existence, it's something Russell T Davies would replicate 42 years later. The Doctor could never be played like this again. Sure we've had brief moments when we're not sure if we can trust him - I'm looking at you Colin Baker - but we always knew the man he was underneath. We'd seen the good, we'd seen the mysterious, we knew the backstory. He could be two steps ahead of us but we always knew we'd catch up. But on that very first Saturday tea time in November 1963 nobody knew if his intentions were good or bad. Only that they'd have to tune in the following week to find out. All in all An Unearthly Child is very well-written and directed, Waris Hussein does an amazing job with a tiny budget and very little editing or retakes. 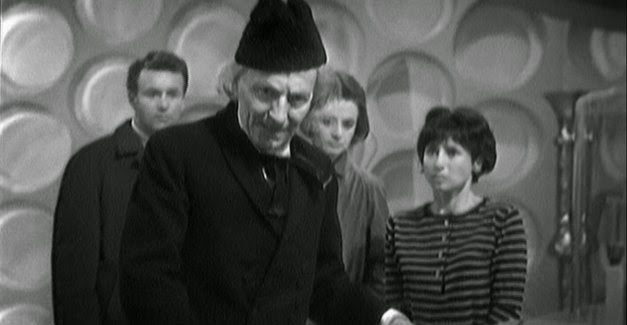 Combine that with excellent performances from the four key cast members and An Unearthly Child is not just one of the best episode of Doctor Who, but it also represents the very best science fiction television shows in general. There's a lot of talk of Peter Capaldi ushering in a new darker era of Doctor Who, well Steven Moffat could do a lot worse than take inspiration from this first adventure. It's dark for sure, it's surprisingly adult for tea time family viewing, but most importantly it's also sophisticated. An Unearthly Child never talks down to its audience, it treats the concept of time travel with awe and respect - not one mention of it being timey-wimey! So if our new Doctor is truly a "back to basics Doctor", then I hope this is the template they are using. Tomorrow it's the turn of the Second Doctor and The Power of the Daleks.